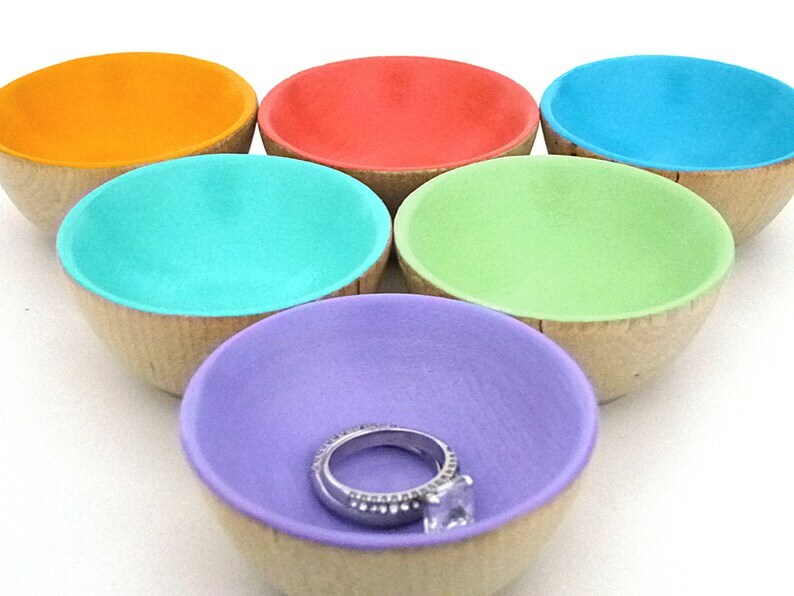 Brighten up your home with these tiny wooden bowls, painted in lively spring colors! These little bowls are perfect for storing your rings or small earrings. Put one by each sink for guests to hold their rings while washing hands. Keep one on your nightstand for your special small jewelry. Choose from six different vibrant spring colors: Lavender, Sunny Yellow, Sky Blue, Turquoise, Coral, Pistachio. Each bowl measures just 1 1/4" tall, 2 1/4" diameter. All my items are handpainted and sealed. Variations may occur due to natural wood grain.